Whether you are looking for a quiet working environment or resources to support your course, The Queen’s College Library is available to you 24 hours a day. 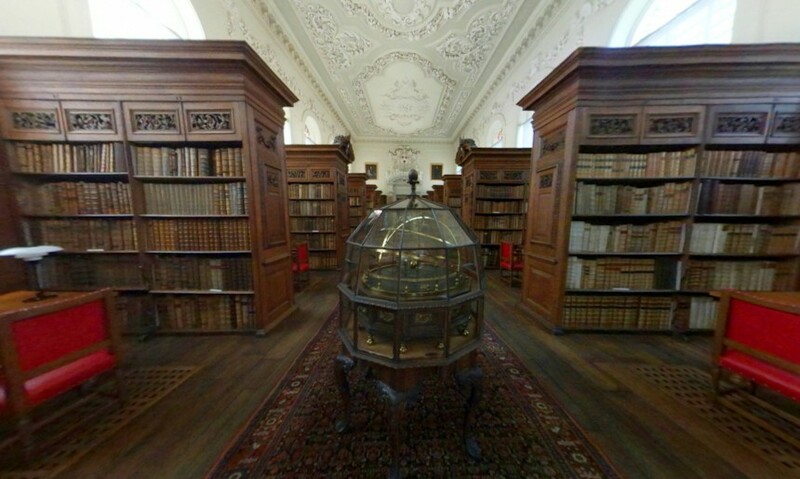 You can choose to work in the 19th century Lower Library or be inspired by the stunning 17th century Upper Library, widely regarded as one of the most beautiful reading rooms in Oxford (and the wider world). In Spring 2017 the New Library, situated underneath the Provost’s Garden, was opened, providing a light-filled space befitting the 21st century. We are responsive to student requirements and our large and constantly changing lending collection of 50,000 books reflects this. Students also have access to a diverse range of electronic resources which can be accessed via your own equipment or the library’s public access terminals. Combined with our generous lending policies, the College library is the starting point for your access to Oxford’s world renowned library service. The friendly library team are on hand during staffed hours to answer your enquiries and help you get the best out of our resources. For further information on using the Library please visit our LibGuide. Note: Members of the College may access the Lower Library and the New Library with their swipe cards. The Upper Library is accessible during staffed hours.